Mumbai City FC today revealed their team logo for the inaugural Indian Super League season. The blue and white crest is topped with a fortress wall, said to represent the resilience of Mumbai. 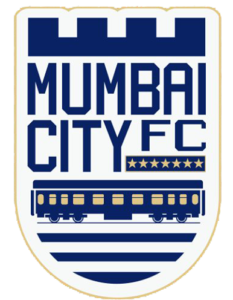 Seven stars sit alongside the team name “Mumbai City FC”, representing the seven islands that make up the city. Meanwhile the train imagery represents the Mumbai local train system, said to be the lifeline which connects the city. Fans will now be eagerly awaiting the release of the Mumbai City FC jersey, which will no doubt feature a similar blue-white colour scheme to that of the team crest. Mumbai City FC also announced all home games will be played at DY Patil Stadium, Nerul. The 55,000 capacity stadium is regularly used by the Indian Premier League cricket team Mumbai Indians. The franchise owners also gave first hints at the pricing of Indian Super League tickets, declaring their intention for all 55,000 seats in the stadium to be filled to capacity. This would suggest tickets for Mumbai City FC games will be reasonably priced, especially in general seating areas. Mumbai City FC are hoping for great success in the city inhabited by over 20 million residents, adopting slogans such as “This is the heartbeat of Mumbai” in attempts to draw city-wide support for the club. Want to stay up to date with all the latest Indian Super League news and results? Subscribe to the ISL Newsletter today. Copyright © 2019 Indian Super League Central.